An abundance of natural beauty. 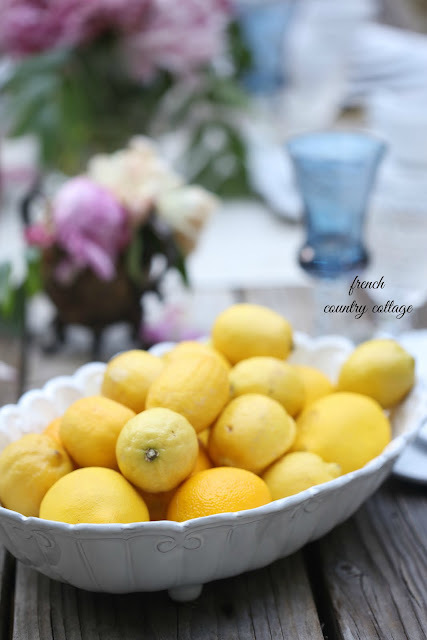 The sounds of the birds in the trees and the soft flicker of the candles on the table. the sun sets through the trees in the distance. 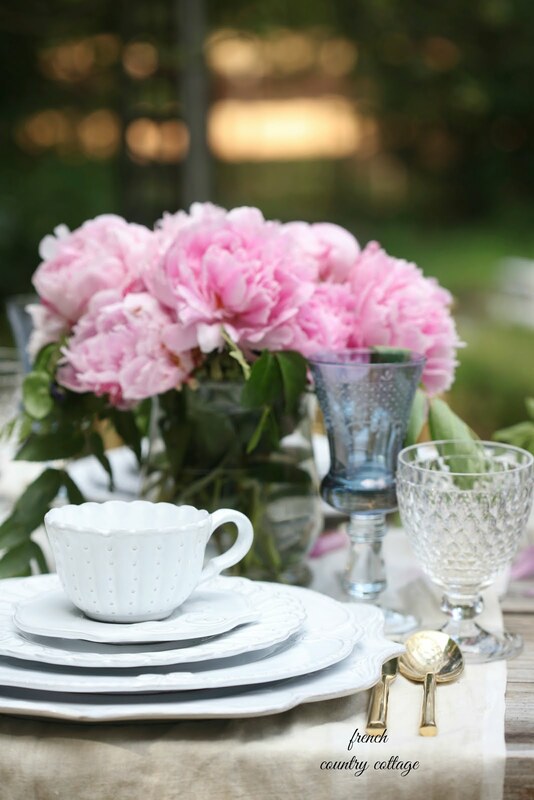 I love it all and it is no secret that I am a huge fan of entertaining outdoors. 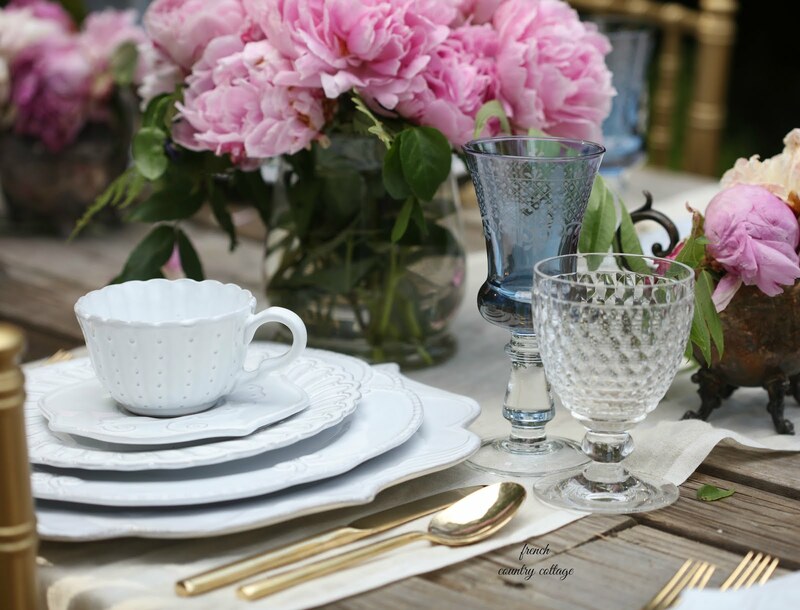 And the best thing about outdoor entertaining is that so much of the ambiance and charm comes from just being outside and incorporating all of that natural beauty into the setting. 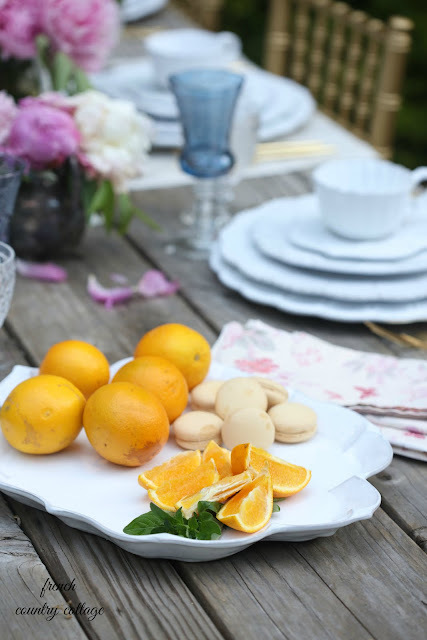 Today I'm talking about a new favorite set of dishes and a few tips for outdoor entertaining. A favorite spot for entertaining outdoors? The pea gravel patio next to the apple tree. 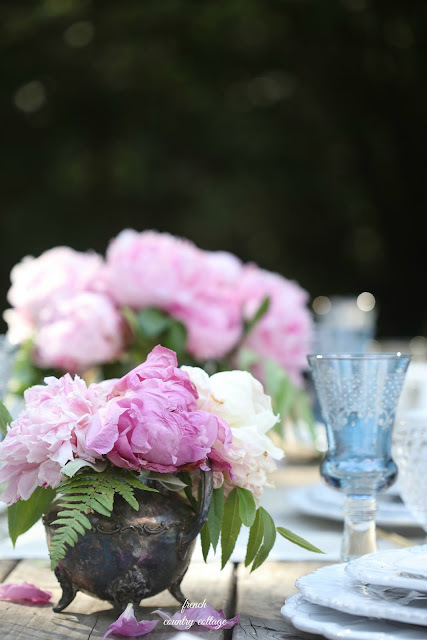 But any corner of your yard or even a grassy spot at a park is perfect for setting up for a gathering. Just think about sun/shade and comfort of guests when choosing. but really, some of those imperfections add the most interest. and it also has a wonderful old silvery finish to the wood that speaks perfect patina. and that adds a delicious old world antique charm. but that feel welcoming like an old friend. in all the beauty of the everyday charm that in abundant out under the stars. and the beauty all around that sets the stage for an enchanted evening get together. as they are for an elegant party. and these gorgeous settings from Arte Italica had me at hello. Can you say 'details' ? Sigh... Bella Bianca is covered in details. while playing together with all of the others. 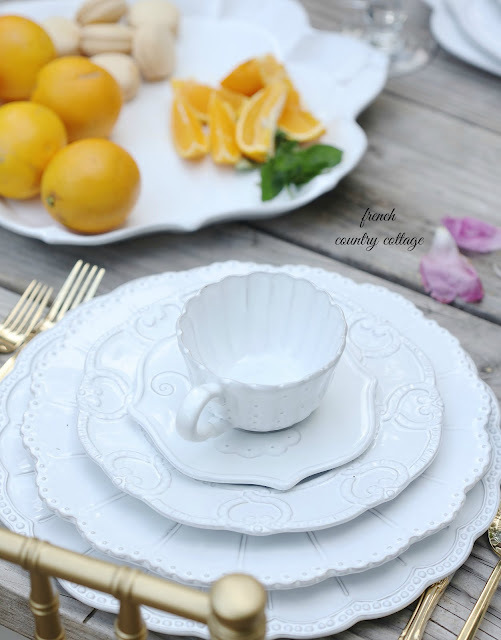 I am excited to be partnering with Arte Italica and sharing a few table setting ideas with their gorgeous table top elements and today it is all about Bella Bianca. so I played with various options. 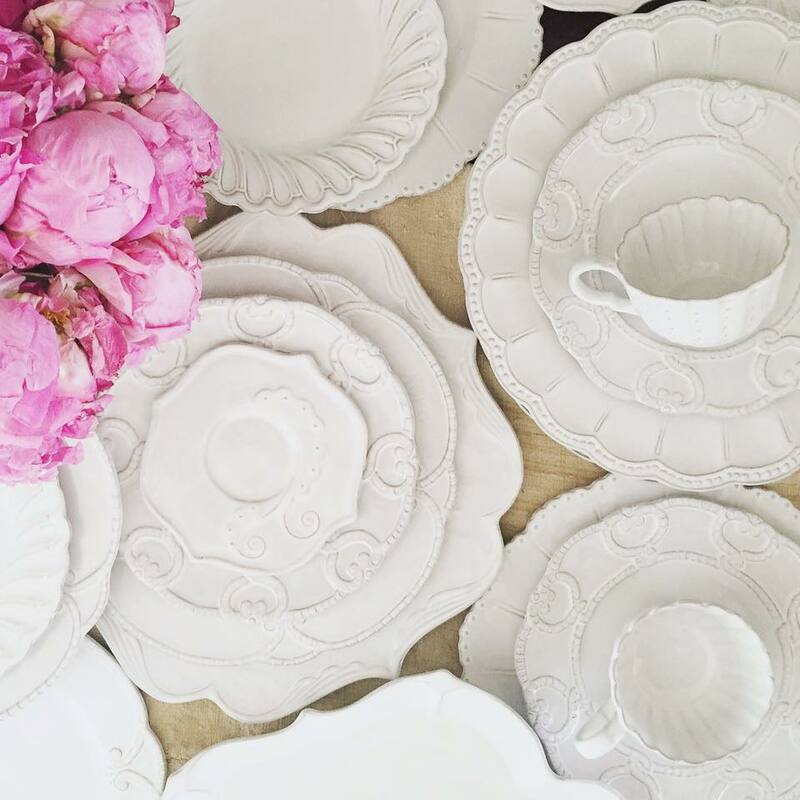 Rosette dinner plates and Pique dessert plates. 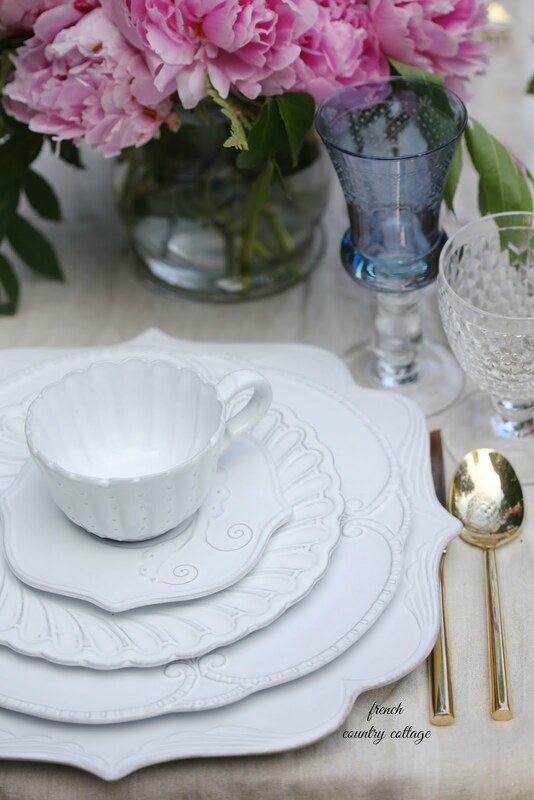 And topped with the delicate detailed cups and saucers. 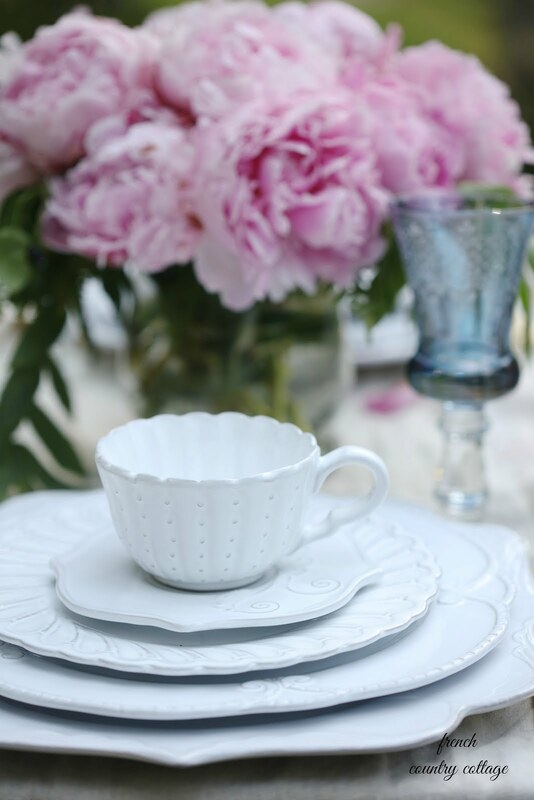 stacked with the Flora teacup and saucer. and with every combination in between. that are absolutely stunning in person. 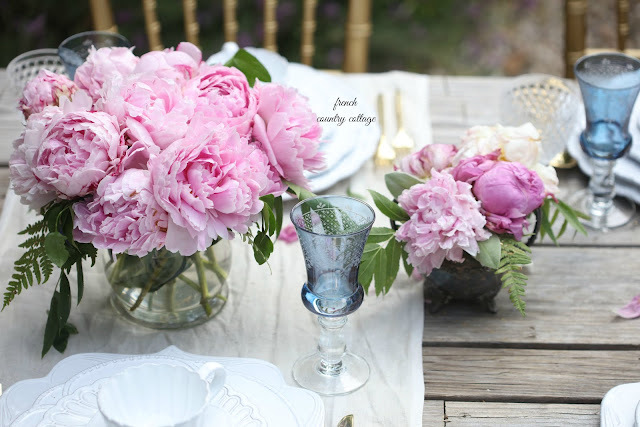 and also so beautiful on the table for those special occasions. And of course.. you will be seeing them pop up quite often. 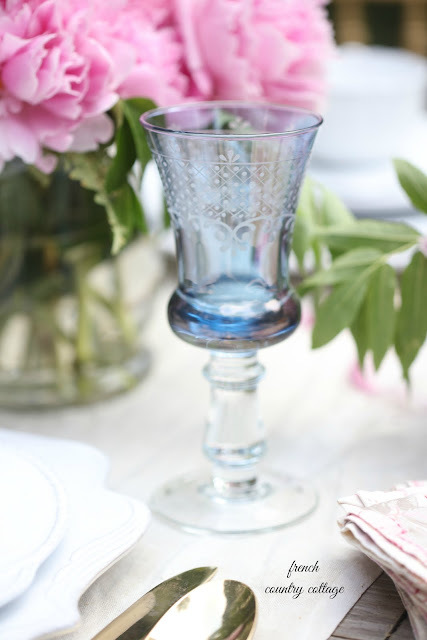 Because they are simply elegantly perfect. 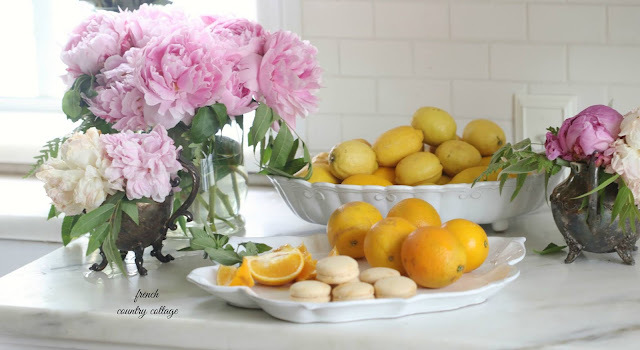 and made a quick table setting video to share each piece and how they stack so perfectly. Very pretty! I like all-white china (partial to Limoges) because it really puts the food at the center of attention. Also you can use different sets without looking chaotic. Beautiful China! Nice picture of you. You are such a pretty girl!